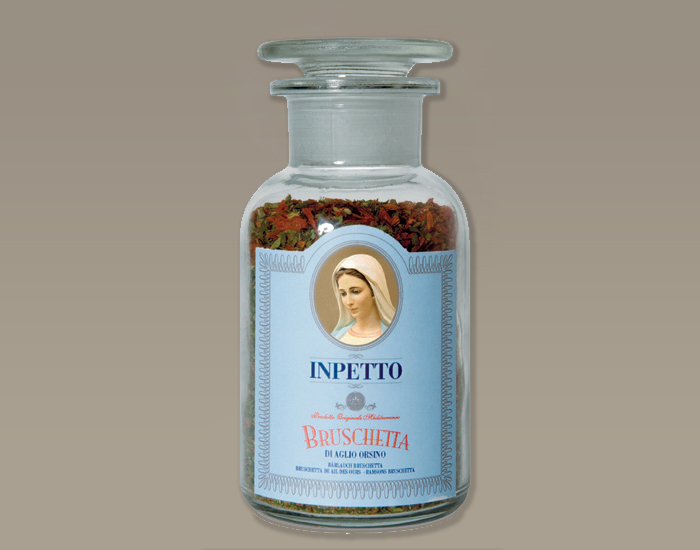 One part INPETTO bruschetta mixture is stirred into two parts water, allowed to sit for 2 minutes and blended with two parts INPETTO Olio di Oliva. The resulting mixture tastes delicious on rustic white bread or crostini (white bread drizzled with INPETTO olive oil and toasted in a pan). 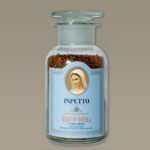 However, the bruschetta mixture is also perfect as a basic sauce for pasta dishes. The consistency just has to be a little more liquid (i.e. 1 part bruschetta mixture, 3 parts water and 3 parts olive oil). Warm in the pan. 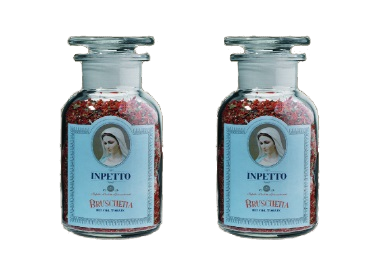 Mix the al dente pasta in the pan with a little boiling water, distribute onto plates and sprinkle with a little freshly grated Parmigiano. 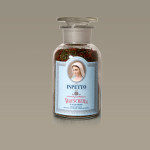 INPETTO Bruschetta Aglio Orsino is a bruschetta mixture which is made using freeze-dried wild garlic. Therefore, it is particularly popular with people who like dishes containing lots of garlic. 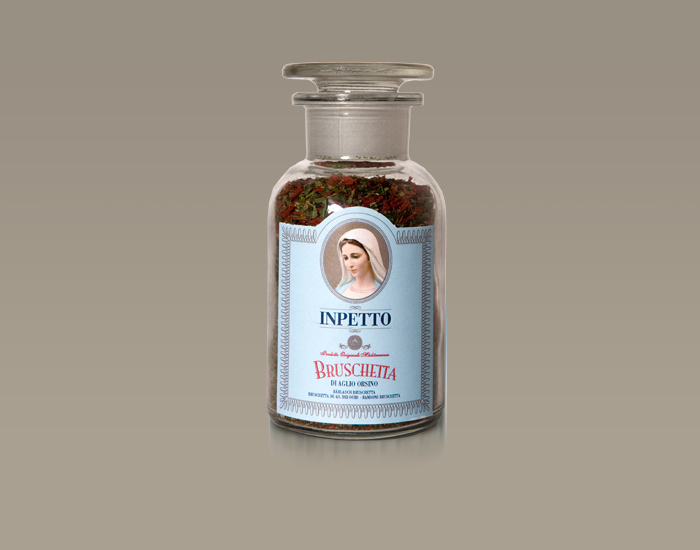 This mixture consists of 1 part INPETTO and 2 parts water, just like the Bruschetta Classico mixture. Allow the mixture to sit and gently stir in 2 parts INPETTO Olio di Oliva. This basic recipe can be used in a wide variety of dishes. Try it with white bread or crostini (white bread drizzled with INPETTO olive oil and toasted in a pan) or mixed with a tablespoon of potato purée, the perfect side dish for steamed fish. This seasoning is the miracle cure to boredom in the kitchen. 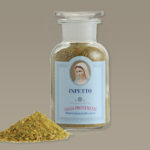 Its quintessential Provençal flavour is best brought out when the basic recipe has been prepared correctly. Blend 1 part of the mixture with 2 parts water. Allow it to sit for a few minutes. To create a tasty dip, stir the mixture with 3 parts yoghurt and 3 parts mayonnaise. You don’t just have to use the resulting delicacy as a dip, as it also tastes fabulous with boiled fillet of beef, cold roasted meat or asparagus. The basic mixture can also be kneaded into butter. Shape it into a roll and wrap it in aluminium foil. Cut it into slices and serve it as a herb butter with steak. Or how about making a Provençal sauce? Melt a tablespoon of butter in a sauté pan and add a tablespoon of the mixture with 2 tablespoons of water stirred into it. Stir for about 30 seconds and allow to simmer gently with half a cup of cream or crème fraiche (100g). 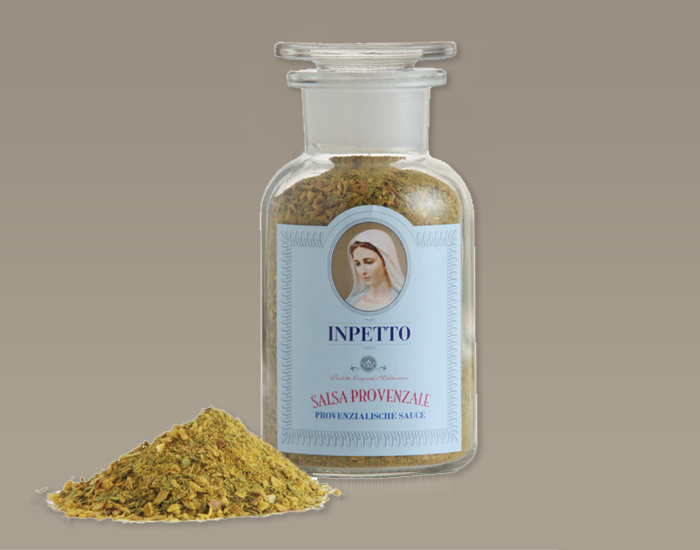 This sauce goes best with steamed fish or meat, as well as bright vegetables such as asparagus, salsify and kohlrabi.